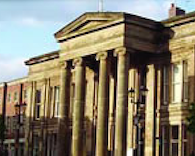 The Macclesfield constituency is comprised of the town of Macclesfield together with Bollington, Disley, Poynton, Prestbury and surrounding communities. Part of the Peak District National Park falls within the eastern side of the constituency. Macclesfield has been a Conservative seat since the 1918 general election. Sir Nicholas Winterton DL was elected in 1971 to represent the constituency until he retired. David Rutley was then elected as Macclesfield's Member of Parliament in the 2010 General Election. There are many Conservative Cheshire East Councillors representing wards within the constituency, which makes up the north eastern part of the Cheshire East Council. Download a map of the constituency (from www.election-maps.co.uk) below. The Macclesfield constituency is one of the most beautiful in the country, with stunning Peak District scenary and attractive towns.